PRIZE DRAWING FOR 4 SACRAMENTO KINGS TICKETS & $100 JOURNEY TO THE DUMPLING GIFT CERTIFICATE!! We have an awesome collaboration with Elk Grove Tribune, Jax Chronicles, & Journey To The Dumpling! 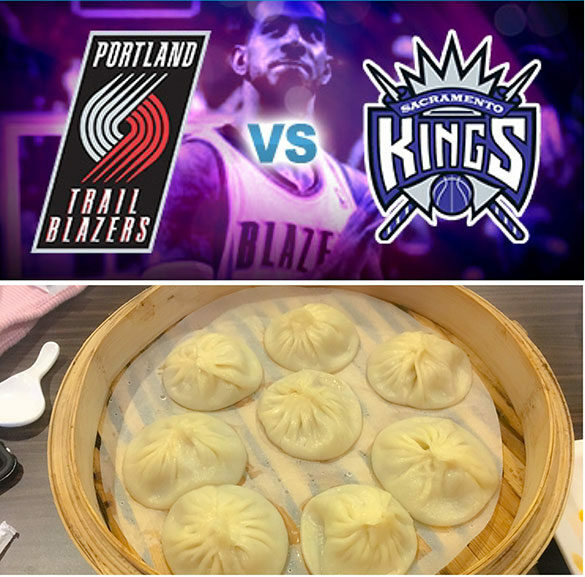 We are giving away 4 Sacramento Kings vs Portland Trailblazers tickets for Friday November 17 section 109 row N seats 5-8 & 1 $100 Gift Certificate to Journey To The Dumpling!! 1) Go to this pic at www.facebook.com/elkgrovetribune. Like this pic, comment, and tag a friend. The more people you tag, the more entries! 2) Like the Elk Grove Tribune, Jax Chronicles, and Journey To The Dumpling Facebook pages. THAT’S IT! For an extra entry share this post on Facebook. 1) Visit the Instagram handles @elkgrovetribune @jaxchronicles @journeytothedumpling. Follow each handle. 2) Go to the pic on each Instagram, like, comment, and tag a friend. The more people you tag, the more entries! Remember you can get more entries by tagging friends on each of the pics on each of the 3 Instagrams. BE SURE TO FOLLOW ALL INSTRUCTIONS AND LIKE ALL FACEBOOK PAGES AND FOLLOW ALL INSTAGRAM HANDLES AS WE WILL BE CHECKING TO MAKE SURE THE WINNER HAS DONE SO. The winner will be drawn November 13. Good luck Everyone! Thank you for supporting Elk Grove Tribune, Jax Chronicles, & Journey To The Dumpling! !